Another eye-opening article from Janet Lansbury – Elevating Childcare™. I was just learning all these things when I read it first and it made a lot of sense. I know we all feel tempted to distract a child when he is upset, but do we really have to? 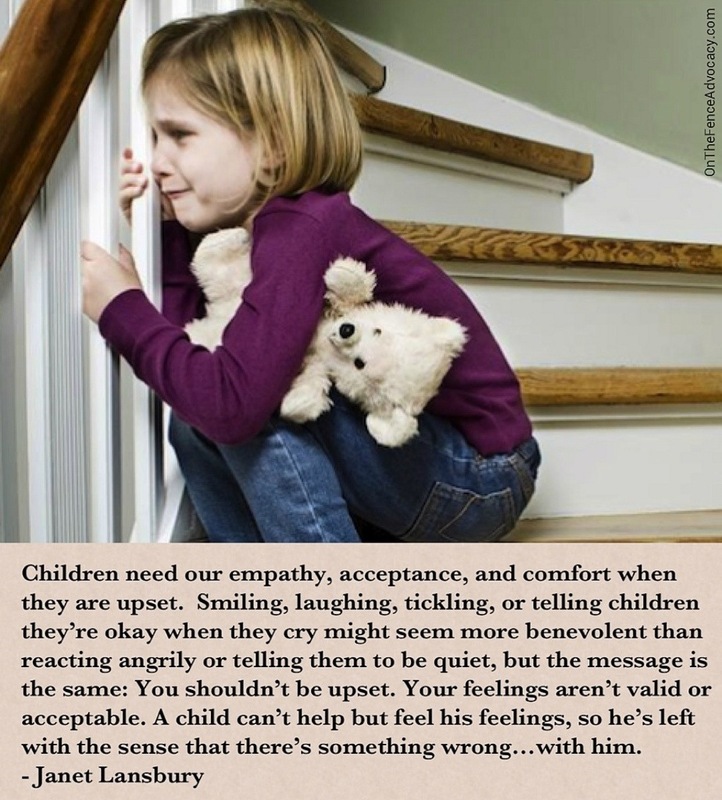 What are we trying to reach by keeping the child from experiencing his own feelings fully and learning from them? Think about it. I’ve never met a parent who doesn’t have the instinct to please his or her children. Most of us want to do whatever it takes to make our kids happy. This is a great instinct, except when it leads us to faking our own happiness, stifling or indulging a child to avoid hearing her cries and objections, or neglecting opportunities to provide the behavior boundaries a child desperately needs. When our priority is to ‘keep ‘em smiling’ at all costs, we don’t help ourselves or our children in the long term.